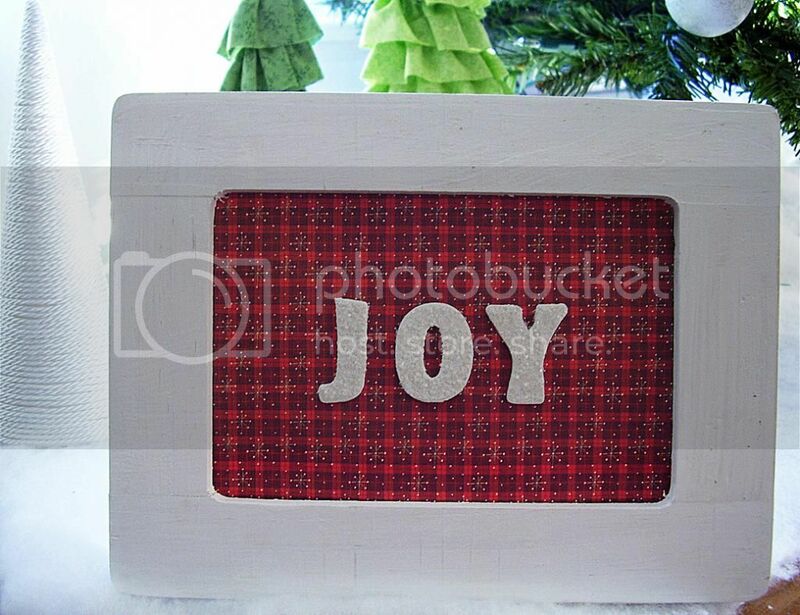 I loved the simplicity of this joy sign that I noticed while searching for easy Christmas decor ideas. My sign is very different from the original, but I think it reflects my style. If you try this simple project, be sure to make it your own and add your own flare. The picture frame is a white washed picture frame that I purchased at Joann's with a coupon. The scrapbook paper is also from Joann's and I purchased the wooden letters from Walmart. First, cut out the scrapbook paper or cardstock to fit in the frame. Paint the wooden letters and quickly sprinkle with glitter before the paint dries. Glue the letters to the cardstock and once it dries, insert into the picture frame.